If you have just stumbled across Caspian Monarque, then let us reveal to you a little about our story. We are one of only a privileged handful of companies to have access to the ancient and mysterious waters of the Caspian sea. A veritable paradise for caviar connoisseurs across the globe. gastronomic beauty to the world. Our dream was to offer some of the most angelic, the most sublime and most tasty morsels to those hungry, literally and figuratively, for true Caspian caviar, as experienced throughout history. So, this is our story, we set about gathering a team of highly trained fisherman and caviar processing artisans, who have gone under 10 to 15 year apprenticeship, to ensure we give our clients the best and most delicious caviar. Through tremendous hard work and a keen eye for detail, we have ensured that our caviar is the most resplendent, containing that magnificent alchemy of taste, flavor, aroma and texture. 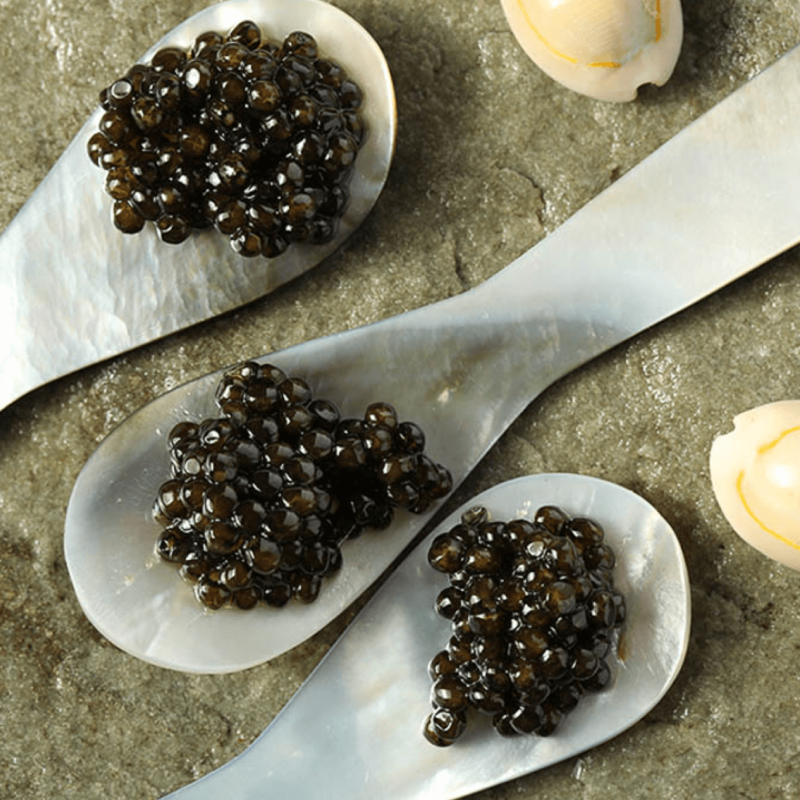 From rich and robust to smooth and delicate, our beluga, sevruga and osetra contains true caviar magic, with an unmistakable Caspian style. another unique element. With Iran being one of the first and oldest nations to produce this majestic culinary gem, all of our caviar is produced with an age old Persian recipe, rendering a taste that has only been experienced by royalty of the Orient and Occident. 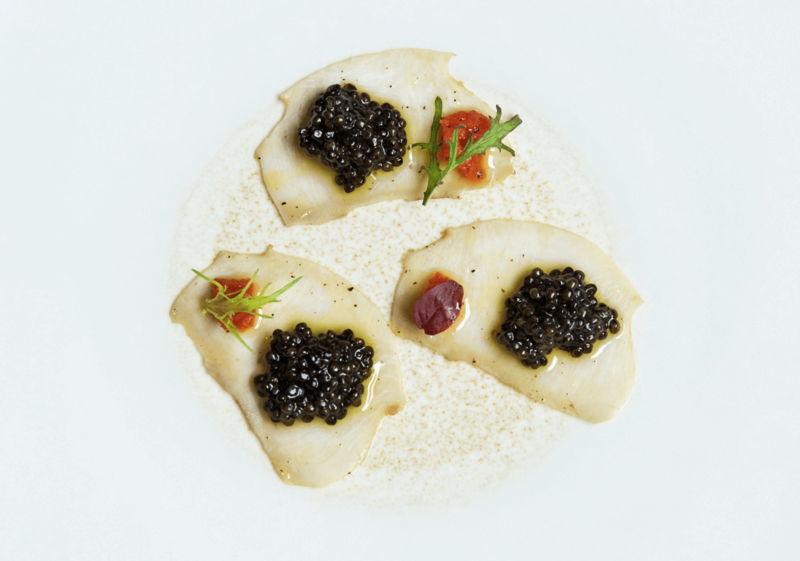 Caspian Monarque transcends the contemporary boundaries, offering caviar that blends solid tradition with a charm that can only be found in true Caspian caviar. With much of the caviar consumed today the end result of aqua-farming, where the prehistoric sturgeon is removed from its native habitat, as well as the deleterious addition of cross-breeding, Caspian Monarque made a decision to put heart and soul into breeding sustainably and organically. A cornerstone of Caspian Monarque is our dedication to sustainable breeding, using organic methods that stand the test of time. Due to the overfishing of the noble Caspian sturgeon, it is now classed as an endangered species, and thus all breeding, production and distribution of sturgeon caviar is conducted under the watchful eye of CITES. CITES has strict rules in place, so that the prehistoric sturgeon can enjoy a secure future, it also means that caviar can still be enjoyed by those looking for some true culinary luxury. 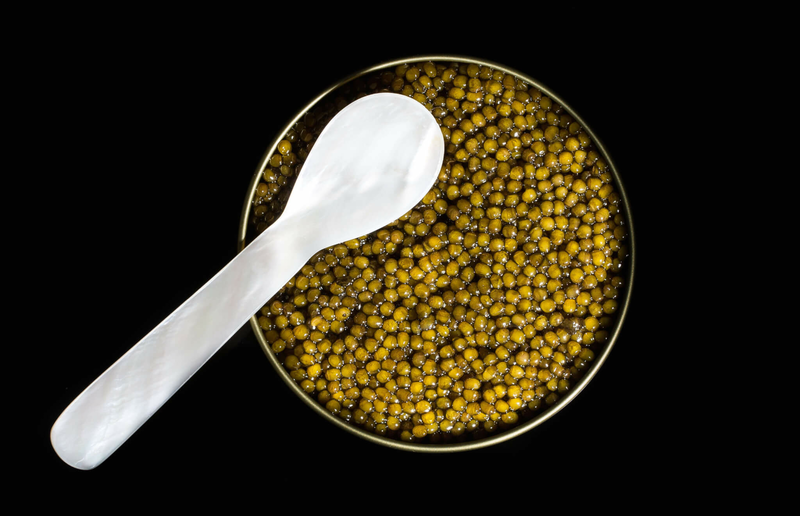 The rules surrounding caviar production mean that each tin must specify the fish species from which the product is derived, the year of preparation and the type of caviar. Which means poor substitutes, for which there are many, can easily be spotted. 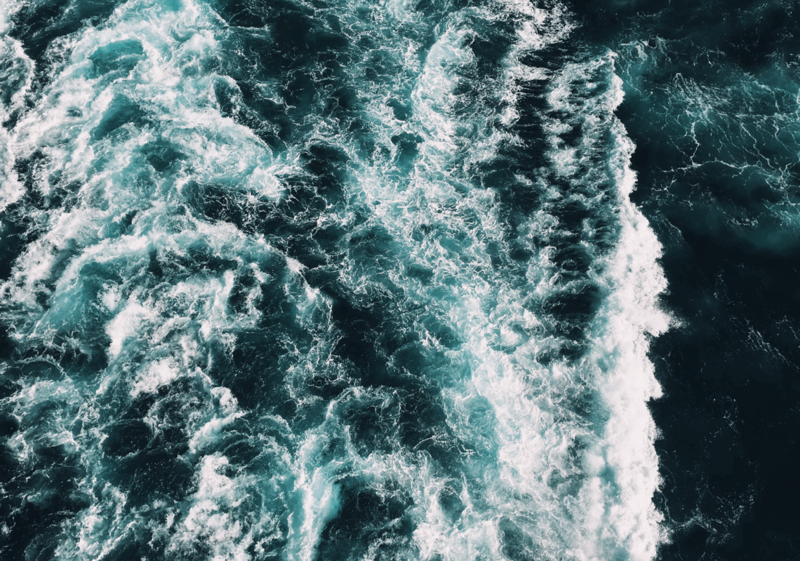 Being part of a small group of companies to have access to the nutrient rich waters of the Caspian sea, Caspian Monarque is also one of few companies to truly pay attention to organic and sustainable breeding. Whether it be the Beluga, Sevruga or Osetra sturgeon, each is able to enjoy the abundant vitamins needed to ensure an auspicious roe, bursting with goodness and flavor. With the Caspian sea being the sturgeons native home for time immemorial, it is only right that it be treated with respect. The environment in which our sturgeons are bred, is as native and as natural as can be, with no cross breeding occuring nor any synthetic tanks etc being used. With much breeding of caviar sturgeons happening outside this ancient place and often using artificial methods, we see it as our duty to protect and conserve at every level. Rendering each mouthful of our caviar so sublime and plentiful, we keep ancient traditions an integral part of our processing routine, specifically using the Malassol method, which limits salt to 3.5 to 5 % only. From birth to processing, our sturgeons are given everything they need to mature and grow in a way that is so finely tuned, it is if you are consuming caviar from a freshly caught sturgeon. As 80% of the worlds caviar is now farmed, we are in a vanguard all our own, as we choose to breed and nurture our sturgeons, rather than take the easy option of cutting corners and using farming equipment that damages flavor and nutritional value. One of the greatest things a company that deals in such culinary excellence can do, is to pay homage to the past and embrace the future. At Caspian Monarque, we believe the history of breeding and producing caviar contains so much genius and wisdom, so we really are standing on the shoulders of giants, but we also see the future as bright, so always take on new and innovative technology in order to bring you sterling caviar products. With Caspian Monarque, you get to experience the prestigious soul of Caspian caviar, imitations will come and go, but the true beauty of Caspian caviar will never disappear. As we continually refine our methods of practice, Caspian Monarque is forever forging ahead as the best and brightest suppliers of authentic caviar. In keeping with our goal of producing caviar of distinction, we have set a few rules to ensure that our caviar products are able to please all connoisseurs out there. As the soul breeders, producers and distributors, we can galvanize quality at all levels, ensuring that our products retain their distinct character. Not one of our sturgeons is processed without going through a rigorous quality test. We always use the ancient and esteemed methods of grading our caviar, which is determined by the size of the roe, colour and texture etc. We ship immediately after receiving an order and will never wait longer than is necessary to get our caviar to your doorstep. To keep the flavors and aromas of our caviar true, we use the latest sterile technology to pack and seal our caviar, meaning that each tin is perfectly air tight. If you would like to learn more about Caspian Monarque and the caviar products we have on offer, please explore our website further.